The tinsel and trees are up and carols are ringing through shopping centres. With Christmas just a few weeks away, we asked a few Common Grounders to share what the day means to them and how they celebrate it. Christmas isn’t a festive season for everyone. But you can make this year different by showing love to and making a real difference in the lives of those who are vulnerable and in need. For more information on our ‘Show Love This Christmas’ campaign and how you can get involved, click here. Presents, food, tinsel, more food and more presents. In a society where Christmas is driven by consumerism, Julie Williams shares how she and her family will go counter-culture this year by putting Christ at the centre of their celebrations. If you’re hoping to find a blog post berating Father Christmas as the anti-Christ and linking his poor reindeer to hell’s apocalyptic horsemen, let me save you the time. Regrettably for you, this is not that post. Like our collective irrational desire to get more. More tinsel, more of those nuts that everybody seems to have in their homes that you have to crack yourself, more crackers (seriously, has anyone in the history of forever, ever pulled something out of an over-priced cracker that was worth keeping? Even just until pudding? ), more stuff we think we really need but really don’t, more stuff that our kids really don’t need, and a whole lot more food. Like most of you, I also like to give more too… I write lists of the most thoughtful gifts for my loved ones and then spend loads of energy and time tracking those things down. And in the process, taking my credit card limit to new heights (or lows according to one less festive spouse, but nobody asked him to write a blog post fortunately). I love it – all of it. Even the end of January toast and baked beans that are bound to follow. But over the last few years, as I skip around crowded shopping centres that seem full of irritable people, I have been wondering, am I missing the point? Worse still, am I perpetuating this missing of the point onto the next generation now that I have minions, I mean, kids? I’m a Christ-follower, and I know what the real meaning of Christmas is, but in the actual day-to-day busyness of life, it’s difficult to see the wood from the trees. Or in this case, the Christ in the chaos. As someone who loves Jesus, this should primarily be a time to celebrate his arrival. That means putting down the fairy lights and shopping lists for a second and reflecting on what that actually means. What should we be celebrating at Christmas? That God put skin on: That the Maker of the Universe who holds everything together, whose hands span the galaxies, let go of all of that to become a tiny, helpless babe. He gave up his riches to become poor for us. All because of love. Christmas is about celebrating the ultimate downgrade. It’s about reveling in the ultimate gift – not a flattering outfit or entertaining toy – but a person. A Saviour who satisfies our weary souls like no ipod, gift voucher or glazed ham ever could. I’m really not wanting to rain on anyone’s festive parade. I’m just calling for a bit of perspective. Like the thin layer of icing above the fruit cake – all of our traditions should be small and inconsequential beside Christ this Christmas. A debt of love, minus the debt. We’re going to spend less on gifts. Not because we love our family and friends less, but because going into debt to show how much we care is just really dumb. And because despite what advertising tells us, the perfect gift to give this Christmas doesn’t cost a cent – it’s our time and love. When it comes to our own kids and gifts, I stumbled across this list a year ago and found it super helpful. Our kids get four things each: Something to read, something they need, something to wear, something to play with. They really do need new shoes and swimming costumes, and cultivating a love of reading is a priority for us, so really, they’re getting one ‘real’ gift, but don’t tell them that! We think it’s also important for them to realize that everything they get is a gift and not a right, even the necessary things. Santa’s our little helper, not the other way around. We’re not hyping Father Christmas up as the hero of the story. He’s a side act to the real show. How do our kids know this? By virtue of the fact that he gives the smallest gifts every year. Not the biggest. We’re early in our journey as a family. But we want to better reflect Christ’s love in this time. 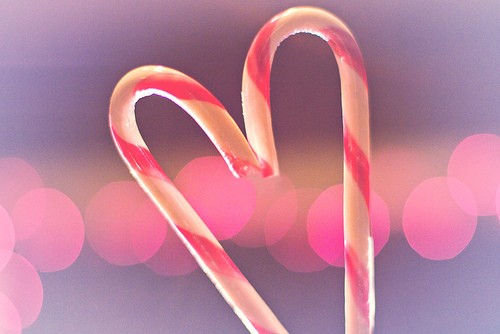 So we spend time shopping and putting together Care for the Carer gifts, and on Christmas evening, we have a time of reflection together, we talk about the day and look at all the things we got given, than we pray together and thank God for our gifts, and especially for the BEST gifts of all, Christ and his great love for us. The day after Christmas, as a kind of detox, we give each of them a box and ask them to give away some of their good-quality toys and clothes to bless others. This may sound very Brady Bunch, but the reality is, our kids will probably be climbing all over the couch while we’re praying on Christmas night, and wailing like somebody is wanting them to donate a vital organ when they have to part with some of their things the next morning. It’s not going to be all that festive, but then again, maybe that’s not the point. It certainly wasn’t Christ’s. 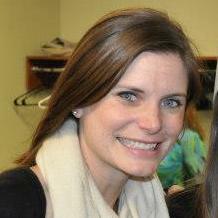 Julie Williams is a part-time freelance copywriter, mother of three and pastor’s wife. She serves on the Common Ground Church leadership team together with her husband, Terran. Like Julie, you too can make this Christmas more meaningful. Our ‘Show Love This Christmas’ campaign offers a few ways you can make a real difference in the lives of those who are vulnerable and in need. For more information on how you can get involved, click here. Imagine opening up the doors of technology to someone for the first time. 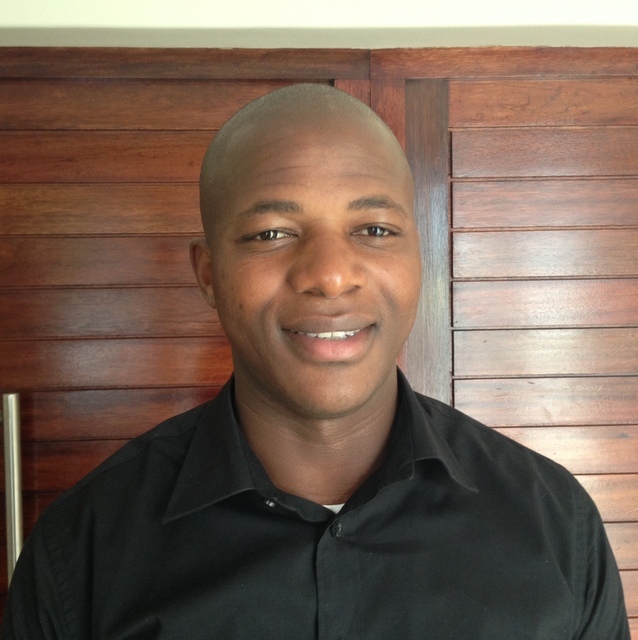 By purchasing the NETwork Give Hope card you can do so and empower those looking for employment. Tucked away in the corner of the NETwork premises in Wynberg, Cape Town, is a room which from a glance doesn’t look too exciting – neat rows of desks, computers and chairs – but every day from this spot people, some who’ve never even turned a computer on before, are learning how to search the internet, type up letters and send emails. These tasks may seem small to those of us who grew up with access to technology, but for these students simply learning how to surf the web or set up an email account could mean the difference between unemployment and a job with a steady income. Imagine trying to get a job when there are often hundreds or even thousands of other equally eager applicants. Sadly, with an unemployment rate of around 30% in South Africa, this is often the case for entry-level employment opportunities. 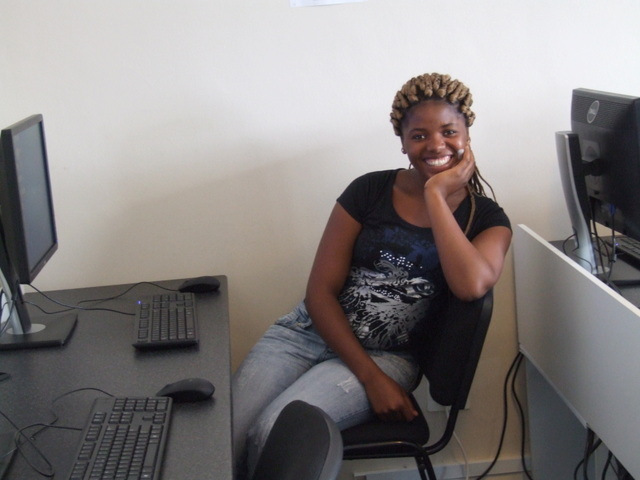 NETwork is a non-profit organisation addressing the unemployment crisis by providing a hub where people can connect to opportunities and enrol in a seven-day job readiness programme, as well as computer, English, business communication and waitering courses. 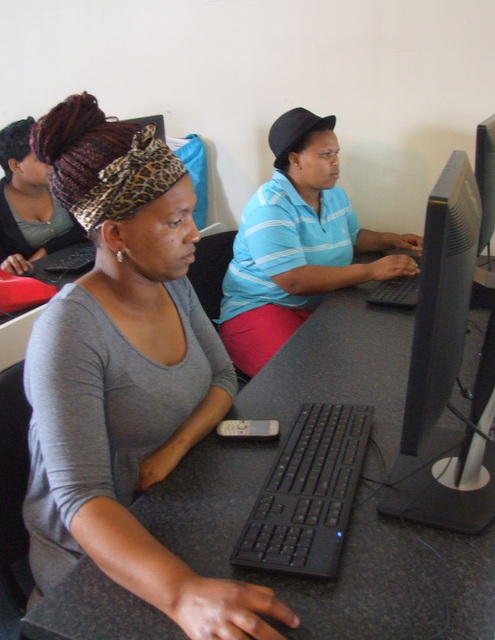 This year, over 411 people have already graduated from the job readiness programme and over 134 students have completed the computer course. So what’s so important about computers? Well, other than the fact that you’re probably reading this article on one, quite a lot! 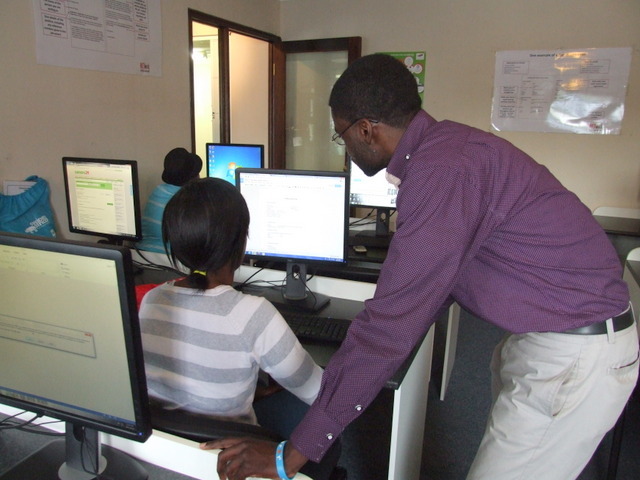 The beginners computer course takes place on Mondays, Wednesdays and Fridays from 9.30am to 1pm, with the intermediate level happening on Mondays, Tuesdays and Thursdays from 1-3pm. 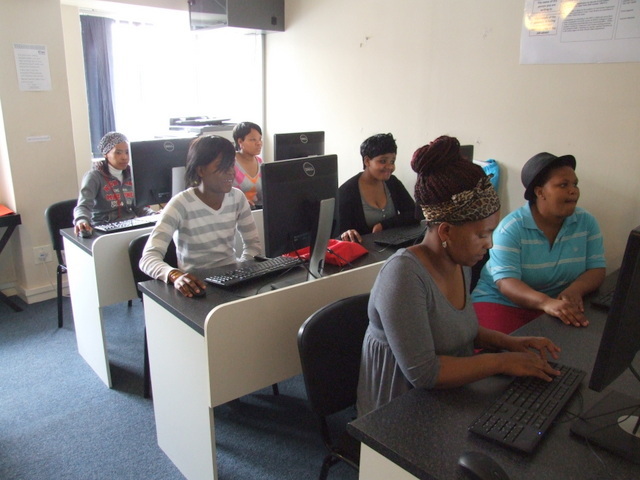 The beginners course focuses on giving a basic understanding of how a computer works, including browsing the internet, using Microsoft Word, and setting up and sending emails via an email account. 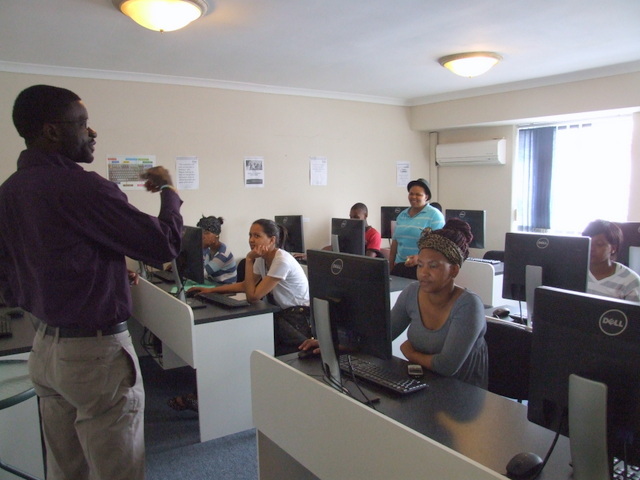 The intermediate level trains students in Microsoft Excel and Powerpoint. These skills provide students with a hand up out of unemployment by allowing them to type up their own CVs, browse online for job openings, and send their résumés to potential employees. This festive season, you can profoundly impact someone’s life by giving them the opportunity to complete the NETwork computer course. How? 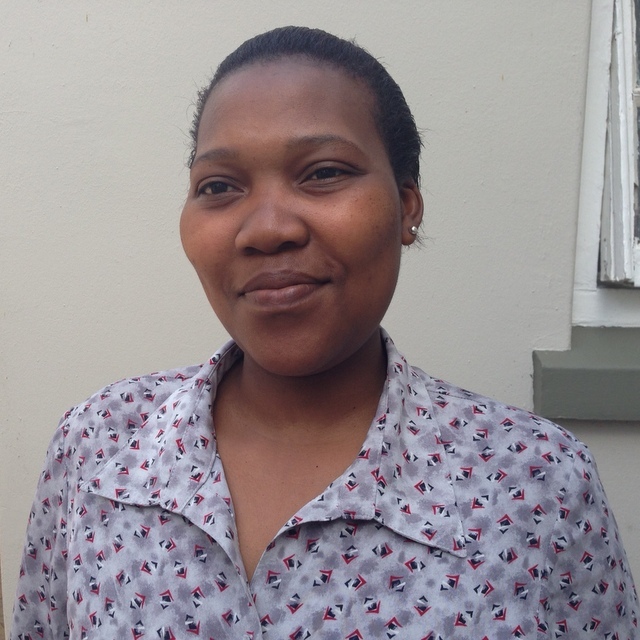 Purchase a NETwork Give Hope card for R150. There are also other cards available which all support Common Good initiatives. Click here for more info. On sale at Common Good involvement desks (Sundays) and at the Common Ground café. How can we put Christ back into our Christmas celebrations? We asked Common Good executive director, Sarah Binos, to share how she’s trying to do this with her family. 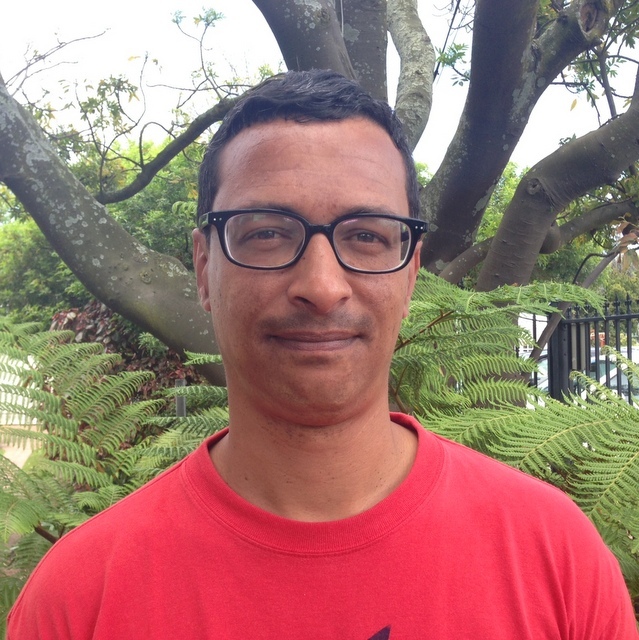 What would your challenge be to Christ-followers living in Cape Town this Christmas? First of all, it’s important to say that I haven’t figured this all out! I’m still grappling with this in my own life! My challenge to myself and to other Christians would be to consider the implications of what we’re celebrating. Christ’s birth was incarnational – he left the glory of Heaven to be born into poverty on Earth. Wow! It was the moment in history when the Saviour of the world came to rescue us. If that’s what we’re celebrating, how can we be more like Jesus in that way? We’ve all been placed somewhere – in a neighbourhood, in a suburb, in a job – how can we be the presence of Jesus there? Christmas is an event that the majority of people celebrate, whether they’re believers or not, so how are we allowing the message of Christ’s birth to influence our immediate surroundings? How do you think Jesus would celebrate Christmas if he were in Cape Town today? I don’t think his emphasis would be on the Christmas jingles and jangles – he definitely wouldn’t be mall trawling! But I think he would still want us to celebrate by focusing on people and community, rather than on gifts (not that presents are bad!). If we look at Christ’s life we see how he made everyone feel comfortable and included in his presence, especially those who were on the fringes of society. At a time when Christmas has the propensity to be quite insular, I’m challenged by the way Christ swung wide open the doors of his life to others. How are you and your family going to try to make Christmas more meaningful this year? I’m feeling challenged around how we can celebrate Christ’s presence in our lives without multiple presents. In our family we celebrate by having a lovely meal together and giving each other gifts but I try to point everything back to Jesus. The gifts we give and receive should be a metaphorical picture of all the other gifts that he’s extended to us. I want my children to understand that these gifts are just a picture of much bigger gifts – ones we can’t even touch or feel. The way God loves us, the way he died for us and rescued us – these are the real gifts. I think we can use the cultural traditions we’ve developed around Christmas but completely spin them on their head for the glory of Christ. For example, when we take our kids down Adderley Street to look at the Christmas lights, it’s asking the question, why is this all happening? It’s always to be conscious of why we’re celebrating. How can we balance the joy of celebrating Christmas with family and friends – and still be inclusive to people who are in need over this time? I think it’s important to have special family time but there are ways that I can open my home. For example, there’s an old age home down the road, and even in my immediate sphere, I’ve got friends who don’t have family. I’m thinking of how I can include a whole range of people where everyone feels a part of the celebration. Giving gifts to loved ones is a big part of Christmas time for many people. How can we make this more meaningful? Christ was so generous in what he gave to us so we can still celebrate by giving each other presents but that needs to happen alongside radical generosity. While I spend money on myself and those immediately around me, I also need to be thinking about those who don’t have. What can I do so that the blessing that God has given me doesn’t just flow back to me? How can I be more generous, not just financially, but also with my family and with my home? I’m going to try to look at how much time and money I’m spending on myself and my family this Christmas and then make sure that at least a percentage of that is flowing out through an appropriate channel. 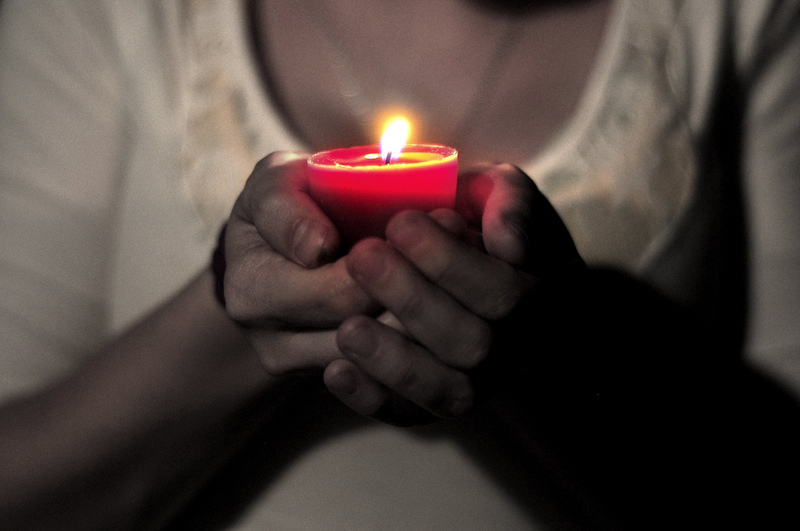 How can we be generous this Christmas without hurting those we’re trying to help? In communities where there’s a lot of privilege we need to find ways for resources to flow outside of ourselves but in a way that isn’t patronising or doesn’t build dependency. One way of doing this could be through Give Hope cards where the money raised will be used to empower people through really sound initiatives. Another way is by giving where there’s relationship. I have a friend who is in a very different socio-economic bracket but because I have relationship with her it’s natural for me to give her a gift. It’s not going to be seeing as paternalistic because she’s my friend. I think it’s being conscious of who are the people in your sphere who you can bless. Maybe for some of us these are our employees, or the people who work with us or around us, or maybe it’s even the person who guards your car who you’ve struck up a relationship with. What’s Common Good’s Christmas campaign all about this year? 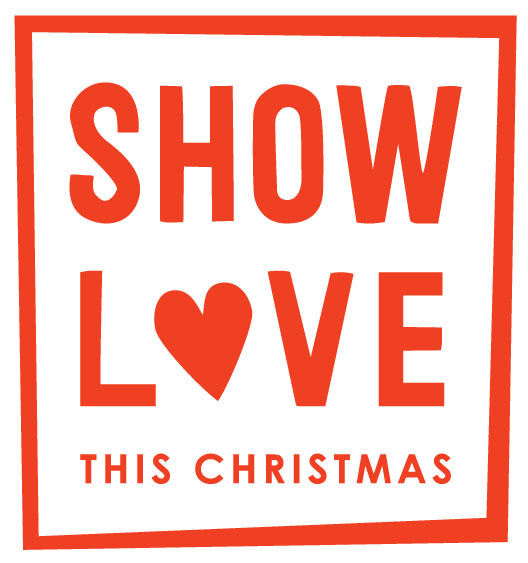 The Show Love This Christmas campaign is really about giving people an opportunity to see Christmas as more than just a time to meet our own personal needs. It’s about encouraging us to think of ways to put Christ back into Christmas. And then, of course, there’s Care for The Carer, which is a great way to celebrate those who on a daily basis make massive sacrifices to serve those in need. Christmas is a time where we can celebrate these unsung heroes who are rarely given any affirmation or encouragement. Many times they’re the forgotten heroes yet Jesus at Christmas would probably celebrate them. And what about after the tinsel comes down? Most of us think of Christmas as an event but Christmas marks the moment in history when Christ came into the world. As Christians, we have to see Christmas as a reminder of what the long road is about. This is a moment to freshly take stock of what our Saviour coming into the world means for the rest of our lives. It’s not about the event it’s about how the event informs our whole journey. 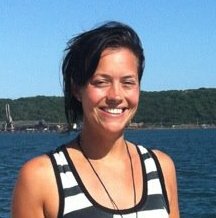 -Sarah leads the Common Good team and serves on the leadership team of Common Ground Church with her husband, Steve. For more information on the ‘Show Love This Christmas’ campaign and how you can get involved, click here.